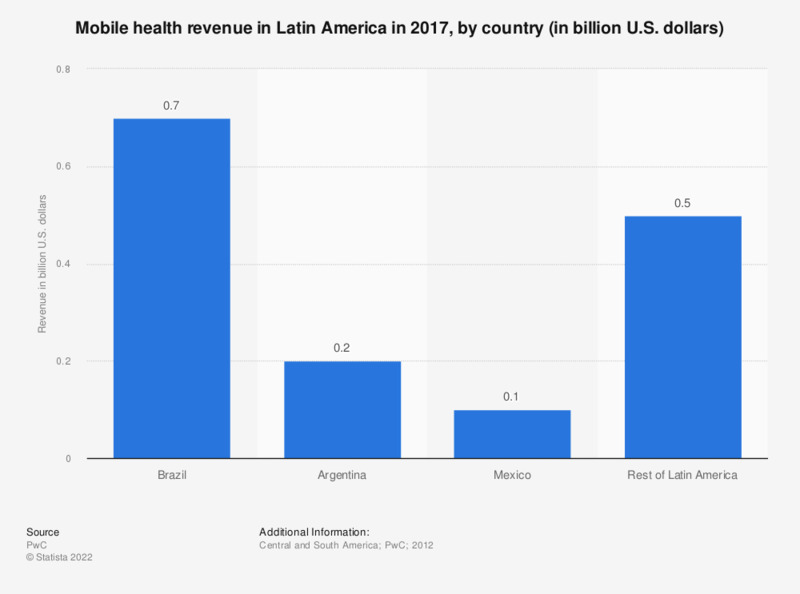 The forecast illustrates the mobile health revenue in Latin America in 2017, by country. Brazil is expected to be the largest mobile health market in Latin America with revenues of about 0.7 billion U.S. dollars in 2017. In 2017, the mobile health revenue is projected to amount to 23 billion U.S. dollars worldwide.